In WalletSaver we have a pretty cool crash reporting workflow. 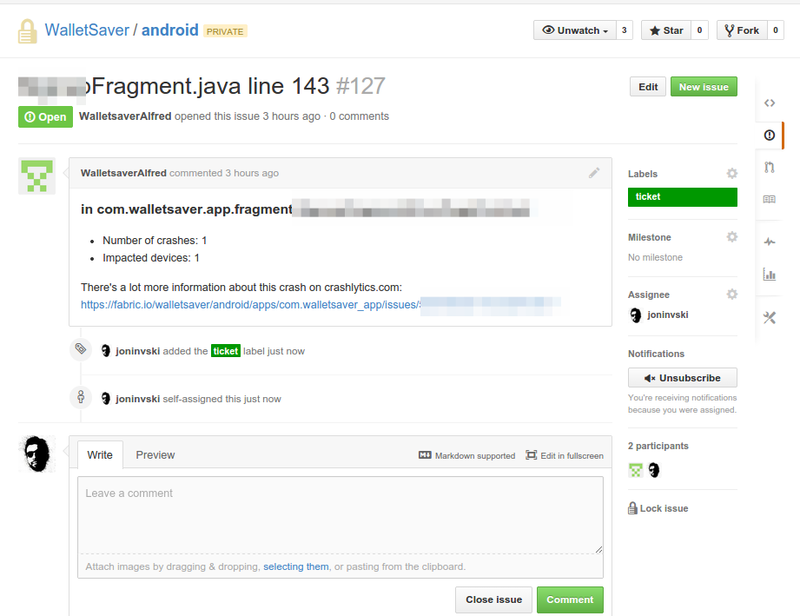 The android app relies on crashlytics (now fabric.io) to detect and report crashes. Although I’m not 100% in love with the crashlytics android sdk (mainly because it wants to be installed by the IDE and tries to do some magic) the service is pretty good. 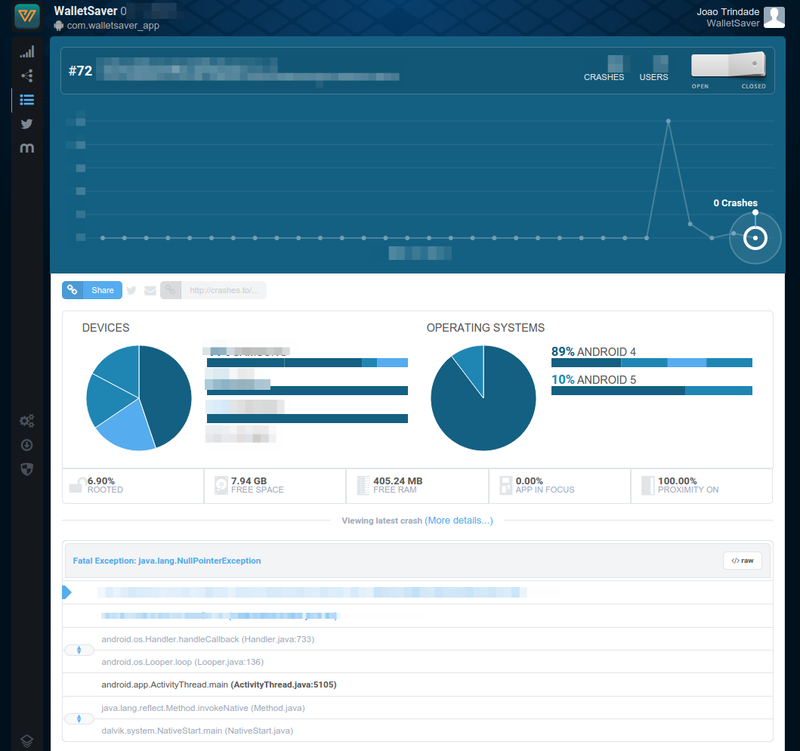 Whenever a crash occurs the crashlytics catches it (and lets the app crash), sends a report to the crashlytics servers. Similar crashes are correctly grouped the majority of times which is really useful as you can quickly see the biggest problems. 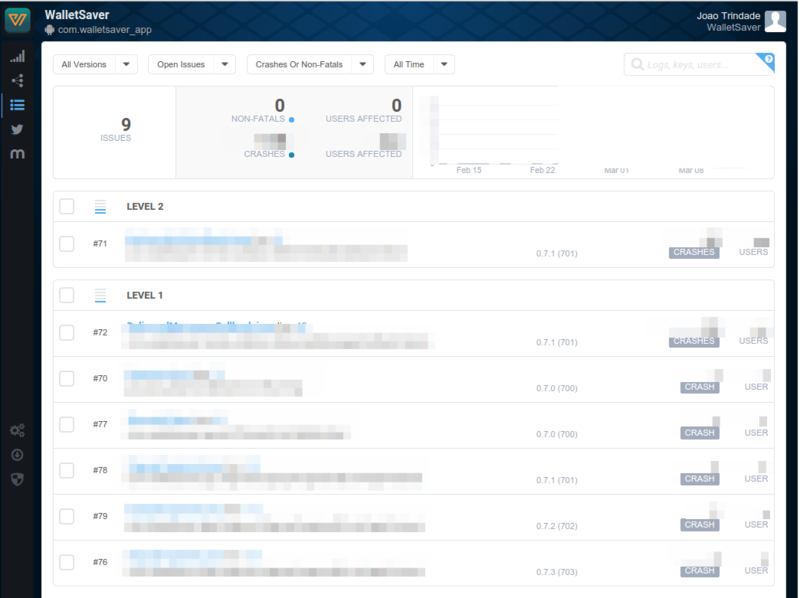 From crashlytics we have set up an integration with github where an issue is automatically created whenever a crash occurs. This forces the android developer (me) to not ignore the crash. To quickly know that the problem occurred (we aren’t always refreshing crashlytics or github issues page) we have two other integrations. The first one is with slack, the communication channel were the whole team is always present. The second integration is via email. We get an email for each new issue created in github issues. This is an amazing, easy to set up workflow for your managing your crashes. Not that crashes happen that often… right? ?